Ever since Ethan was a newborn, I have been very careful choosing what to use on his skin. It's just so soft, so delicate, I want to be sure I use the very best lotions and potions to keep it that way. I worry that he will be a sensitive type but so far, so good. Except, that is, for a few occasional spells of a sore bottom - sometimes it can get very red and nothing seems to soothe it very quickly at all. 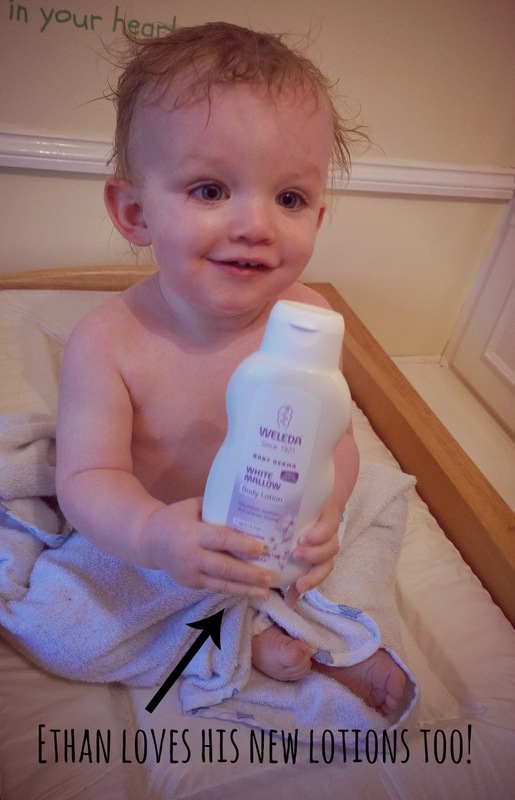 I came across Weleda a year ago and my post, 'The natural choice for baby skincare', is still one of the most popular to date. I guess many other mums like me are keen to research natural options. Ever since, I have been a huge fan of Weleda's award-winning Calendula baby collection and now, there's an exciting new range launching today that will soothe and smooth the most sensitive of skins. 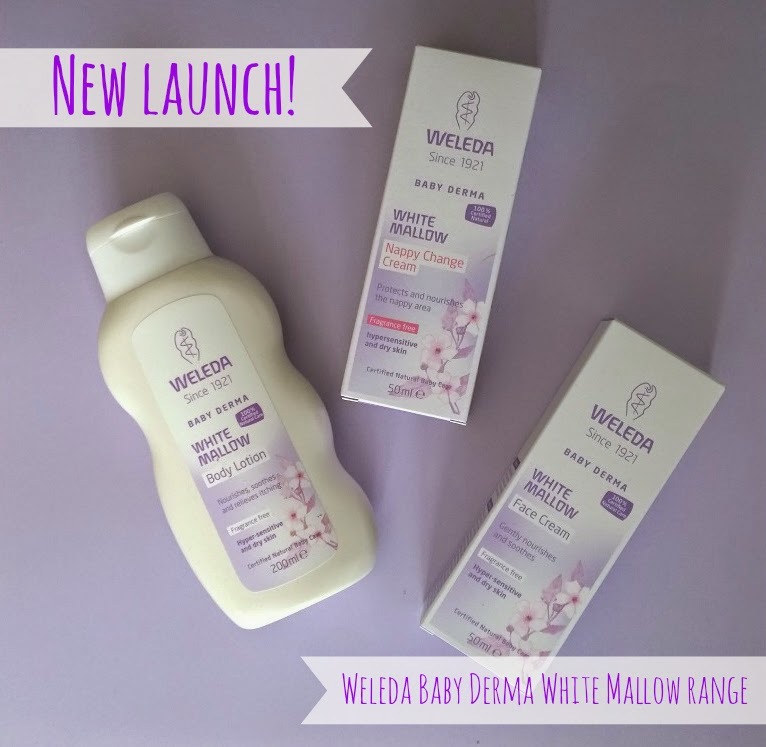 Developed over a course of five years in response to requests from parents and professionals alike, the new Weleda Baby Derma White Mallow range contains carefully chosen ingredients with proven dermatological benefits, including relief from itching and irritation brought on by baby eczema. Formulated especially for babies who have hyper-sensitive and dry skin prone to irritation, eczema and sensitivities, Weleda Baby Derma White Mallow is designed to nourish, soothe and smooth. I found out all about this new range during the Weleda insight day I attended a couple of weeks ago and I was fortunate to receive the three new products - a body lotion, a face lotion and a nappy change cream - to take home and try. Each one contains organic White Mallow - a delicate plant with extremely soft leaves - which wraps the skin with a calming protective layer. Other active ingredients include wild pansy, coconut oil, sesame oil and and sweet almond oil - all organic, naturally - which combine to offer numerous skincare benefits. So, what's the new range like? Well, first of all, the packaging looks great, very calm and premium. 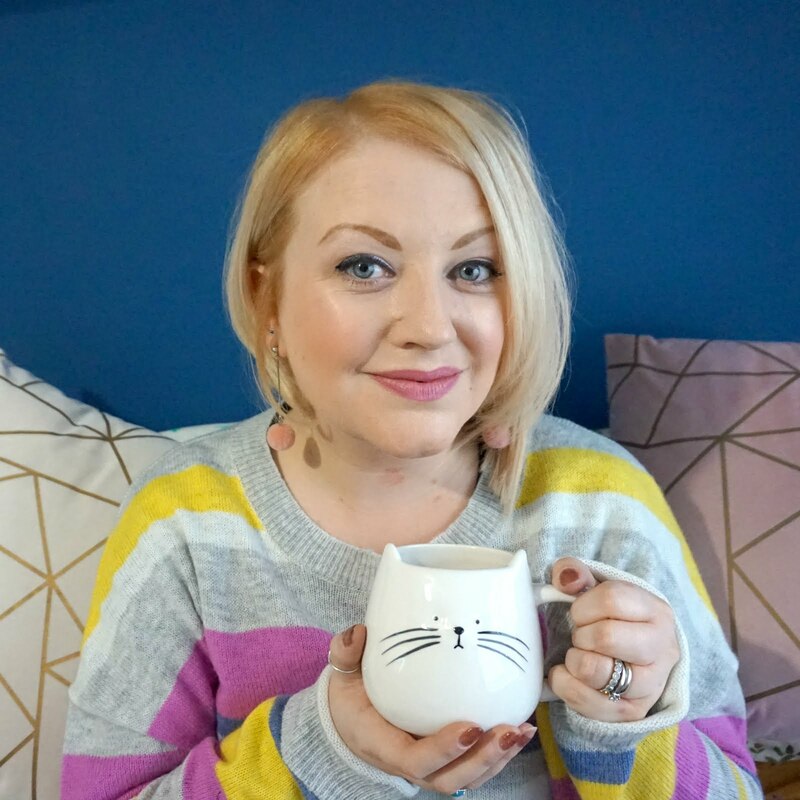 The products are fragrance free but you do pick up on a very subtle scent - to me, it smells a little like sweet plasticine, but honestly, I love it and it could just be me! The White Mallow Body Lotion (RRP: £11.95 for 200ml) is wonderfully light, quickly absorbed and instantly leaves Ethan's skin soft and cared for. I love the natural nourishing and protective qualities of coconut oil and these translate into this product. The White Mallow Face Cream (RRP: £9.95 for 30ml) is going to be a new staple in our changing bag. My favourite Weleda product has long been the Calendula Face Lotion but the new White Mallow version is equally special. It's really effective, leaves Ethan's cheeks and chin, which can sometimes get a little spotty from dribbling, lovely and velvety and it's also great for sensitive adult skin too (Mummy might be stealing this!). Lastly, the White Mallow Change Cream (RRP: £8.95 for 50ml) is one that I'm looking forward to trying when Ethan has a sore spell again. The white mallow is said to calm irritated skin and the coconut and sesame oils it contains should help nourish and prevent soreness. It's a nice consistency and I like the change from using creams such as Sudocrem, so hopefully this will help keep red bottoms a thing of the past. This new range will be available at leading Boots stores from today onwards, plus wider independent pharmacies and health stores by September. There's always the Weleda website too. For me, the more I learn about Weleda, the more I fall in love with their products and this new range is no exception. If you are concerned about your baby's sensitive skin, keep it natural and you won't be sorry.